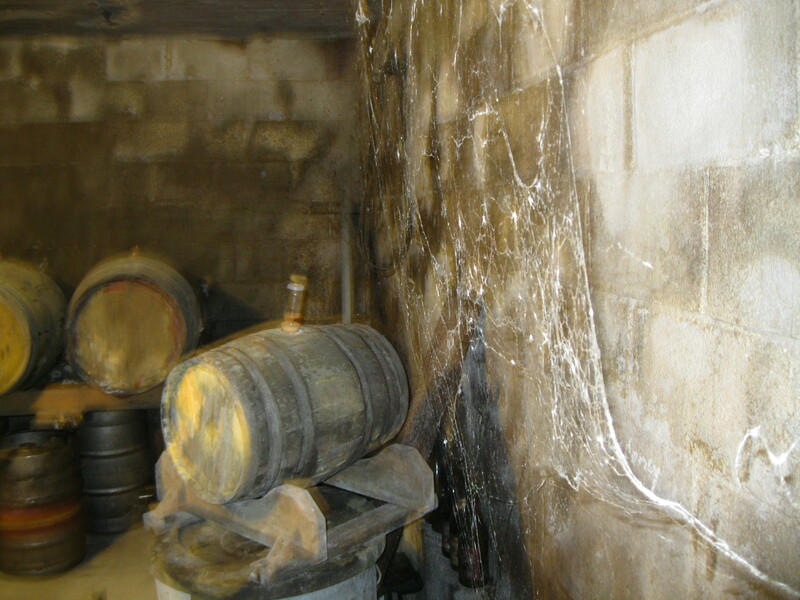 To get a taste of John Watson’s dedication to authentic brewing, you’ve got to see his cobweb collection. In the back corner of a cluttered garage in Southbury, Conn., a reggae record spins on a dusty turntable, providing the soundtrack for fermentation. The man who dropped the needle on the record is John Watson, slowly sipping a sample of his sour cherry lambic. To his left sits his simple brewing system, based around two converted Sierra Nevada kegs. To his right is a chest refrigerator dedicated to packaged hops. It’s in this laboratory that Watson has created dozens of award-winning beers. But beer judges aren’t the only ones paying attention to Watson’s work. The owner of his own plumbing and heating business is now also the head brewer for Pies & Pints restaurants, which recently added a downtown Waterbury location to pair with its Southbury spot. John Watson at Pies & Pints in Waterbury, Conn., where he hopes to use those tanks in the background. Watson started brewing beer in the early 1990s, and it wasn’t long before he earned recognition at a homebrew competition in Norwalk. This led to an invitation to join the Underground Brewers of Connecticut, one of the oldest homebrew clubs in the country, and most likely the largest one in the state. Over the years, awards have opened professional doors for Watson. 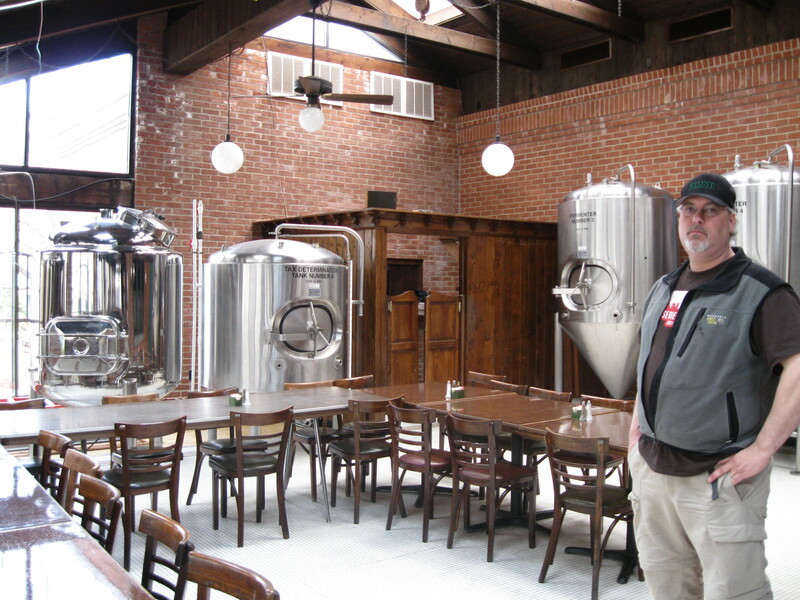 In 2000, the former Hammer & Nail Brewery in Watertown chose his oatmeal stout to brew. Watson also brewed for a short time with Colorado Brewery and Trading Company, a brewery in Danbury that closed in 2004. 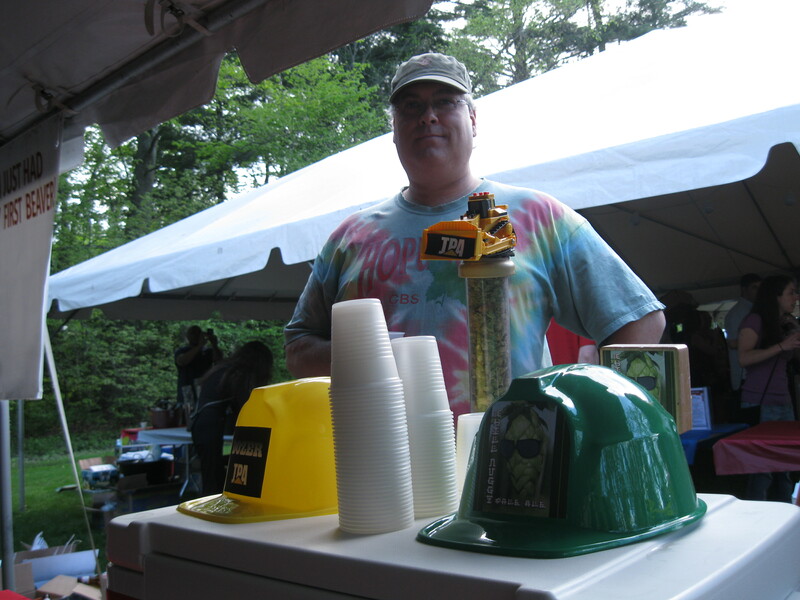 His beers have also been brewed for Willimantic Brewing Company and Captain Lawrence Brewing Company in Elmsford, NY. Now he’s adding another line on his resume with Pies & Pints in downtown Waterbury, where owners Theo Anastasiadis and Christos Gogas have renovated the former Drescher’s restaurant. The partners will convert the restaurant into a brew pub once they receive licensing approval. But for now, patrons at both restaurants can drink pints Watson’s Chill Nuggz Pale Ale, which he made at Cavalry Brewing Company in Oxford. It’s got a grapefruit tang to it, and it while it clings gently to your tongue it fades cleanly. Now that Cavalry has closed, however, Watson will need to find a new place to create his beers, which also include his Dozer IPA. The plan is to sell growlers of its beer from the brew pub, tap beer from casks or even sell limited-edition bottles, Watson says. It all depends on demand, and how much beer he makes. The pale ale, and upcoming India pale ale, are tame choices for Watson, who is known for crafting beers that are less predictable, like his sour cherry lambic. Lambics are Belgian in origin and are difficult to get right because they are “spontaneously fermented.” This means the yeast they use is found wild in the atmosphere. “I’ve always been intrigued by Belgian styles,” he says, turning his sample glass to reveal the deep ruby color of his beer, which is tart and actually has a hint of yogurt taste thanks to the controlled “souring” bacteria. To get a sense of Watson’s dedication to authentic brewing, you’ve got to see his cobweb collection. Hanging like a flimsy lace curtain in his musty root cellar, the webbing keeps fruit flies from infecting Watson’s beer, which is aging in oak barrels. There’s a lambic in there that’s eight years old. “I got the idea from Cantillon,” Watson said, referring to Belgian brewery that specializes in lambics. It’s hard to imagine a professional local brewery putting out a lambic with cabernet Merlot grapes, as Watson did. But this is the state that includes Shebeen Brewing (in Wolcott), which has a beer served with chocolate shavings and confectioner’s sugar. And there is Overshores Brewing (in East Haven), which recently opened and specializes in Belgian-style ales. Maintaining a brew pub is tricky, and it’s proven to be difficult in Connecticut, even during this period of growth. Cambridge House Brew Pub in Torrington and Tullycross Brewing in Manchester folded over the last few years. However, several brew pubs — including the Cambridge House in Granby, Southport Brewing Company in several locations, City Steam Brew Pub in Hartford and BruRm @ Bar in New Haven – show that the business model is alive and well. Dave Wollner, who heads up the justly celebrated Willimantic Brewing Company, has fond wishes for the new venture. Like the old-school groove of The Gladiators sonically bathing his dark garage in Caribbean vibes, Watson is mellow, even about working with Pies & Pints. Whether he’s creating mainstream styles or ones that are adventurous, he’s got a safety net. “Pretty much every beer goes well with pizza,” he says. A version of this column was originally published in the Waterbury (Conn.) Republican-American on April 23, 2014. 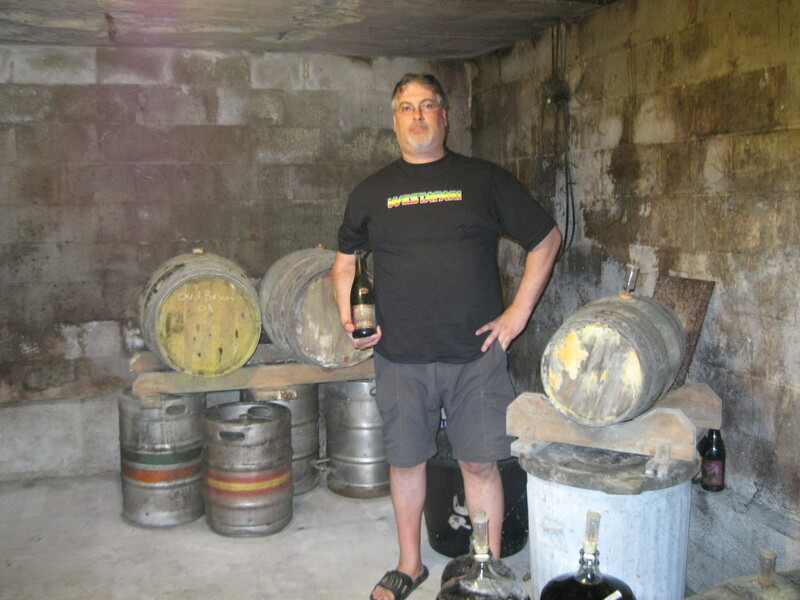 This entry was posted in Beer Snob and tagged John Watson, Pies & Pints, Willimantic Brewing. Bookmark the permalink.